McGanniversary Week: THE NIGHT OF THE DOCTOR | Warped Factor - Words in the Key of Geek. 2013 truly was The Year of the Doctor. As well as the fiftieth anniversary special, crammed with treats for geeks old and new, the year was also studded with extra content to add lustre to our celebration. We got An Adventure In Space And Time, we got the announcement of Peter Capaldi as the next Doctor, we got the thrill when John Hurt was first revealed as the War Doctor. And then, out of nowhere, there was The Night of The Doctor. With the exception of the return of Tom Baker, nothing in that year was as surprising, as elating, as ‘hold on a minute, I think I’m going to cry’ meaningful as The Night of The Doctor. Like the return of Baker, part of its hammer-blow impact lies in the secrecy of it. It wasn’t even whispered until the BBC was ready to launch it, and then they did, and it took older fans back to the days before the internet, to the end of Episode 1 of Earthshock, when the carefully maintained secrecy fell away and THE CYBERMEN WERE BACK! It connected with the inner child of a world full of geeks who had first become geeks when secrecy was routine. The pre-credits sequence was watched by geeks who were poised for a little extra freebie as an appetite-whetter for the fiftieth, and if we’re being cold and analytical, the spaceship effect is a little more Red Dwarf than it is 21st century Who, but then BANG. Three words, and the hearts of geeks everywhere stopped for a second. Annnnnnnd geekdom lost its collective mind. 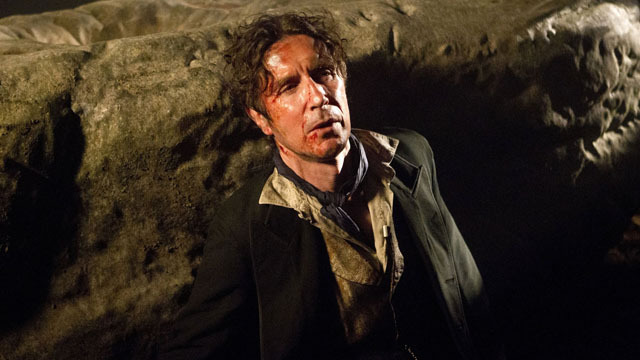 Paul McGann’s Eighth Doctor famously only had one outing on-screen, the troubled TV movie. Given the direction the proposed series would have taken him in, it’s probably just as well that things went the way they did. But McGann impressed geeks around the world, which meant that even though it would be nine years between his single shot on TV in 1996 and the return of Doctor Who in 2005 with a ‘Ninth’ Doctor, the Eighth Doctor was never forgotten, never swept under the carpet in the same way as, say, the Shalka Doctor was. In response to demand from fans, the BBC began commissioning new adventures for him in novels, in a range that spanned from the year after his on-screen appearance right up to the year of the Ninth Doctor’s arrival – 73 books in total. When Big Finish launched its Doctor Who audio adventures, it took only two years to prove its concept before launching the first Eighth Doctor story, Storm Warning, and over the course of the next twelve years, it took him on some truly staggering adventures. When Doctor Who came back in 2005, it was very distinctly accepted that Christopher Eccleston was the Ninth Doctor, meaning McGann’s incarnation was a reality, a definite part of the chain stretching back to 1963. Why Night of The Doctor made geeks lose their mind and their tears so intensely is simple – the Eighth Doctor is special. He’s the one that geeks clung to through the nine lonely years, the one that helped us not let go of the idea of Doctor Who, long after the reality of seeing Doctor Who on TV screens again was forgotten. 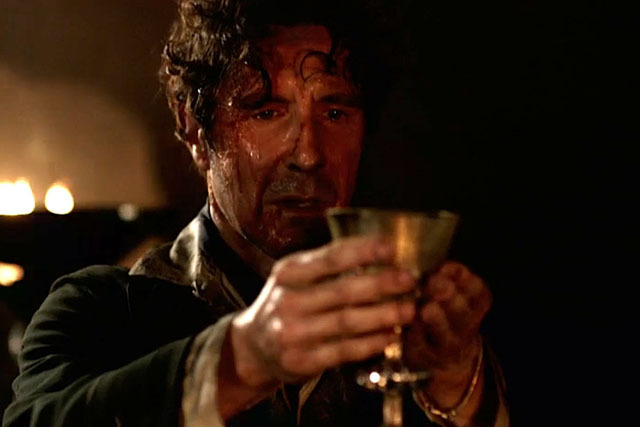 We loved the Eighth Doctor for carrying on, and carrying us through the wilderness years. 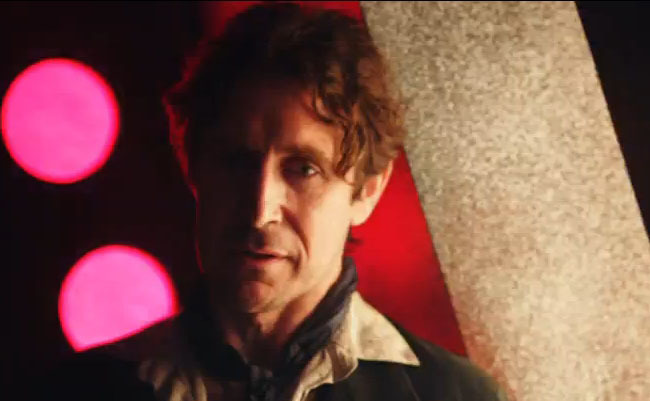 After the credits, the Eighth Doctor is back, exactly as we’ve come to know him – not the frilly Wild Bill Hickock with the floppy romantic hair, but a grizzled, utilitarian traveller with his mouth and his smile on automatic, and after asking Cass, the last remaining crewmember on a gunship, a ton of rapid-fire questions, he welcomes her aboard, assuming, in a very pre-Time War way, that she’ll love it, that she’ll obviously go with him. But Cass reacts with horror to the idea of being abducted by a Time Lord, scorning the notion of him being ‘one of the nice ones.’ The Eighth Doctor grows up quickly when he tells her that at least he’s not a Dalek, and she sneers ‘Who can tell the difference any more?’ deciding that both of them will die before she lets him take her away in his box of Time Lord trickery. And in one final treat, we see the Eighth Doctor regenerate, and with camera trickery and a voiceover, the War Doctor is born before us, the image of a young John Hurt beginning a new phase in his life, that will be picked up immediately, though many years later, in The Day of The Doctor. The Night of the Doctor may technically be full of holes. It may be a stunning convenience that he’s persuaded to become a warrior. It may have some odd choices from McGann, especially perhaps ‘Get out, GET OUUUUT!...all of you.’ But none of the holes matter one iota. Because The Night of The Doctor is a perfect seven-minute present to all the fans who kept the faith through eighteen months of ‘hiatus,’ through BBC chicanery that killed off a great Doctor, through seven long years between the end of McCoy at the BBC and the dawn of McGann, and most importantly, through nine years when you couldn’t kill the Doctor just by taking him off the air, where he lived on as the Eighth Doctor in books and audio stories, having new adventures beyond the imagination and budgets of TV. The Night of the Doctor is a love letter both to the Doctor that kept us going, and to the fans who made sure there was a fiftieth anniversary to celebrate. That’s why it will always be a jewel of Doctor Who perfection.